Once upon a time – and not so long ago — I loved Koberl at Blue in San Luis Obispo. It was my favorite restaurant in one of my favorite towns. 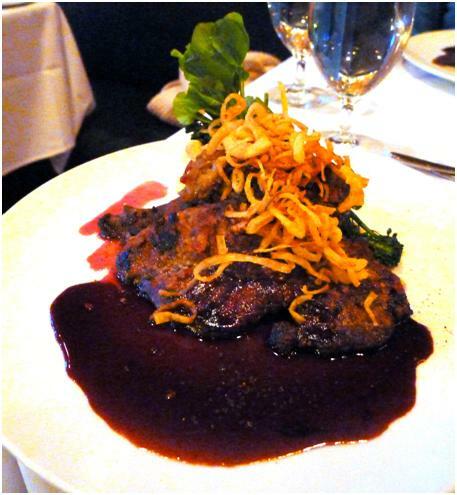 The herb crusted rack of lamb was the perfect cross between old school fine dining and wine country cuisine. 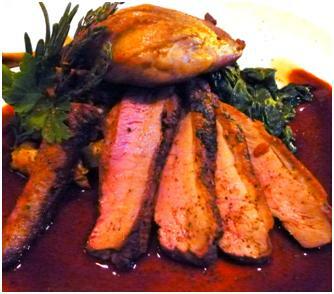 Their version of duck two ways – with a seared duck breast and a confit was perfection (if not particularly innovative). But that, it seems, was a longer time ago than, perhaps, I had thought. On our long-awaited return to the Central Coast, a visit to Koberl at Blue was to be a highlight. It was, however, destined to disappoint.The service was terrible. On at least two occasions our waiter asked questions, didn’t listen to the answers, and got it wrong. He was stuffy, uncertain, nervous, inattentive and unresponsive. Had he been a trainee accompanied by a seasoned veteran, there to take up the slack, perhaps the slack would have been taken up. It was not. I started my meal with the Chicken Postickers appetizer, one for which the restaurant is known. I’d had the dish before and enjoyed it – as I did on this occasion. Perhaps in the context of the meal my impression of it was a bit harsher than it might otherwise have been, but I could not help but notice that this was a version of a dish I regularly enjoyed at dim sum joints – and the sauces on offer were no better than the simple ones I might find at such establishments. Nancy, cleverly, ordered the Caesar’s Salad appetizer. 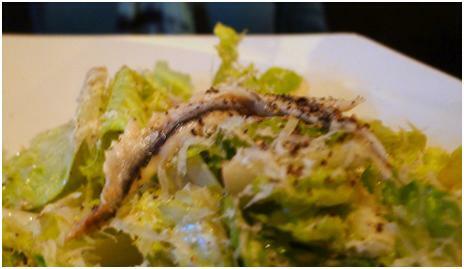 It was pretty much perfect, featuring a Spanish style white anchovy that elevated the dish from the every day to the excellent. Her luck continued with the main course: the duck. It was as good as ever.